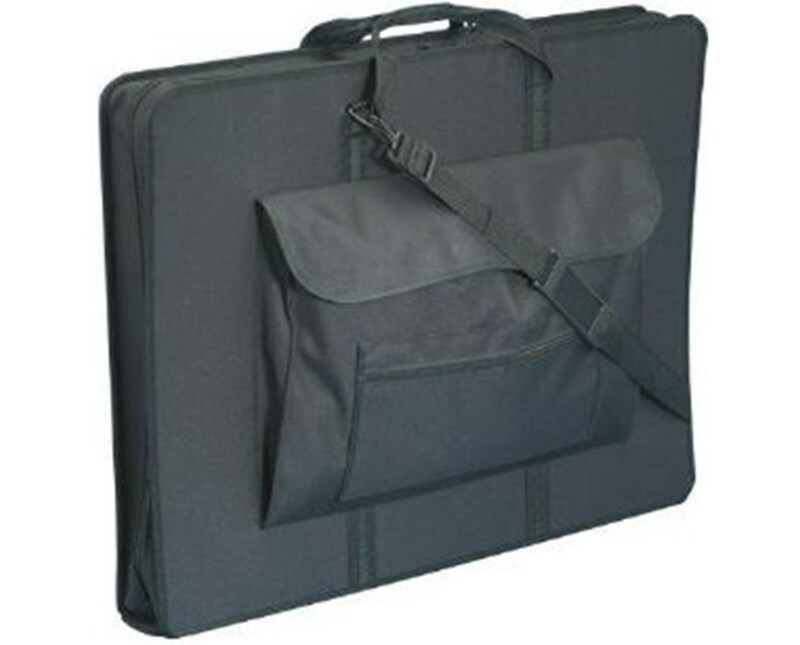 The Prestige Elegance Series Heavy-Duty Art Portfolio is a professional-looking and durable portfolio for carrying and storing large format documents including artworks, blueprints, posters, and many others. 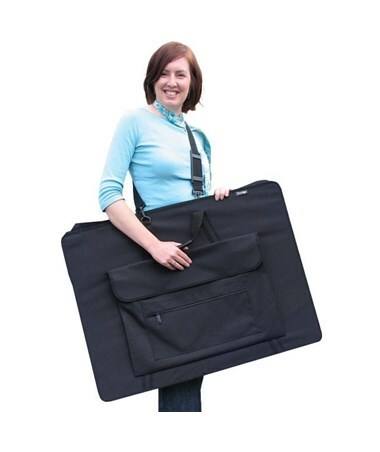 Ideal for artists and other professionals on-the-go, it is made of black reinforced nylon laminated to corrugated plastic and features a four-inch wide gusset. This heavy-duty art briefcase not only accommodates portfolios but also allows carrying of materials and tools. It is equipped with various storage space including two full-width inside pockets, a 5"W x 17"L interior pencil and brush storage case, and a 14"W x 21"L x 2"D exterior front pocket with smaller zippered pocket on top. With twin zippers that opens fully on all three sides, it keeps its contents secure while providing convenient access. 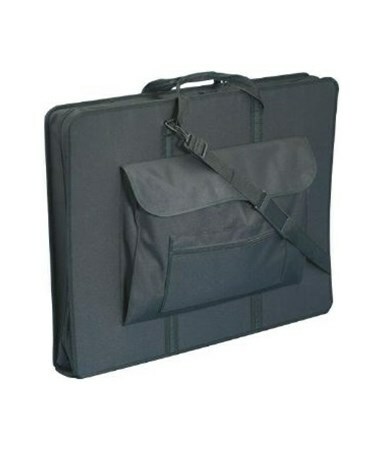 The Prestige Elegance Series Heavy-Duty Art Portfolio comes with two handles and an adjustable, detachable shoulder strap for versatility and comfortable use. It includes an ID/business card holder for easy labeling. With four protective chrome studs on the bottom, it is protected from scratches and any abrasion. It is available in four different sizes to suit various storage and carrying needs. The Prestige Elegance Series Heavy-Duty Art Portfolio comes in four various sizes to suit different art storage needs. Please select your preference from the menu above.